WHAT MAKES OUR CSA SPECIAL? Your enrollment in our CSA provides work for our special needs clients, local area classrooms, as well as summer interns who are a mixture of special needs young adults and typically developing young adults. They all learn to work together doing a wide variety of tasks, from planning what and where to grow, to starting seeds inside, planting outside and in the greenhouses, weeding, watering, harvesting, washing produce, packing up CSA shares, and more. You would be impressed with what they can accomplish together in a day! Our Staff, Board, & Volunteers! everything we grow. Rachel is a local who grew up in a dairy farming family, so she brings plenty of experience! Kitty Kromer is our Goodness Grows Board President. In her day job, Kitty is an Educational Coordinator in Columbiana County. She has worked with special education students for years, spending many years as a classroom teacher. She used to bring her class to Goodness Grows, and they even designed and built our Blooming Butterfly Garden! She is also the mastermind behind our Canfield Fair Award Winning Jungle Jam. Sue Weaver volunteers to do many things for Goodness Grows. 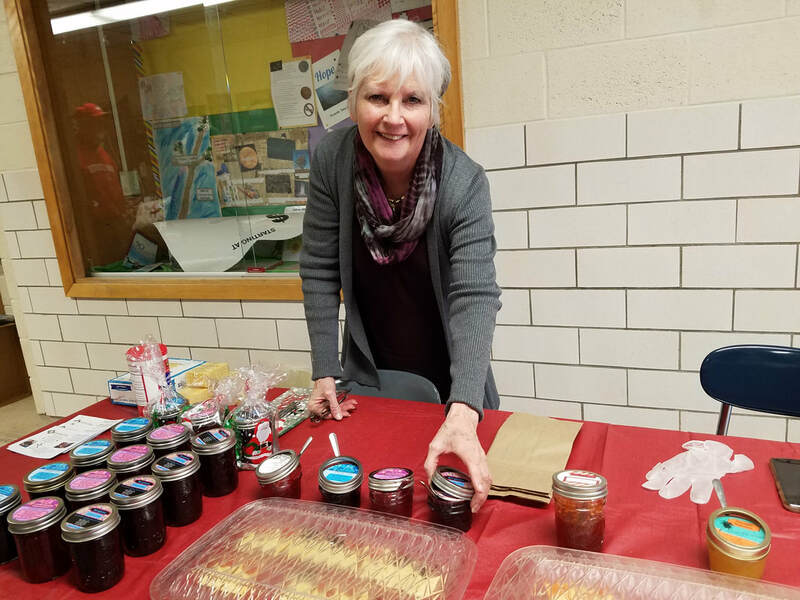 She is always willing to staff a farm market, a craft show, or any event. Her kind and friendly manner makes her a natural Jungle Jam salesperson! Sue also helps out with additional tasks when she can, especially when it comes to making Jungle Jam. Our clients love it when she comes to visit! Before she retired, Sue spent her career working in special needs classrooms with kids of all ages. Jill Snyder serves on our Goodness Grows Board as the Treasurer, works for Goodness Grows doing data entry and finances, and is also the mom of one of our clients. She has been an active volunteer for Goodness Grows for many years and is always willing to lend a hand wherever she is needed. Jennifer Lynch serves on the Goodness Grows Board as the Secretary, works for Goodness Grows handling office related tasks, and has volunteered here for years whenever needed. She was a early childhood teacher before coming to work here in North Lima. Claire Smith worked for Goodness Grows, running the farm and leading the clients and classrooms, and she now serves on the Goodness Grows Board. Claire is also a skilled Jungle Jam maker who brings us lots of good ideas. Devyn Rothbrust worked for Goodness Grows prior to Claire. He remained a source for horticultural advice and now serves on the Goodness Grows Board. Devyn spent time working in the horticulture industry and is now working with special needs students. Dr. Lashale Pugh, longtime friend to Goodness Grows, also serves as a Goodness Grows Board member. Lashale became involved with Goodness Grows many years ago, when we spent time working on urban gardens in Youngstown. She was on the faculty at YSU and is now involved in many different endeavors. Our Awesome Interns ~ 2018 Edition! Bradly, a special needs intern of many years, pauses his sweeping in the greenhouse.